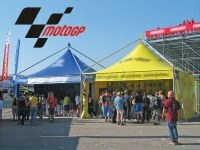 The Company Giulio Barbieri has been supplying for many years its event marquees to MotoGP World Championship. 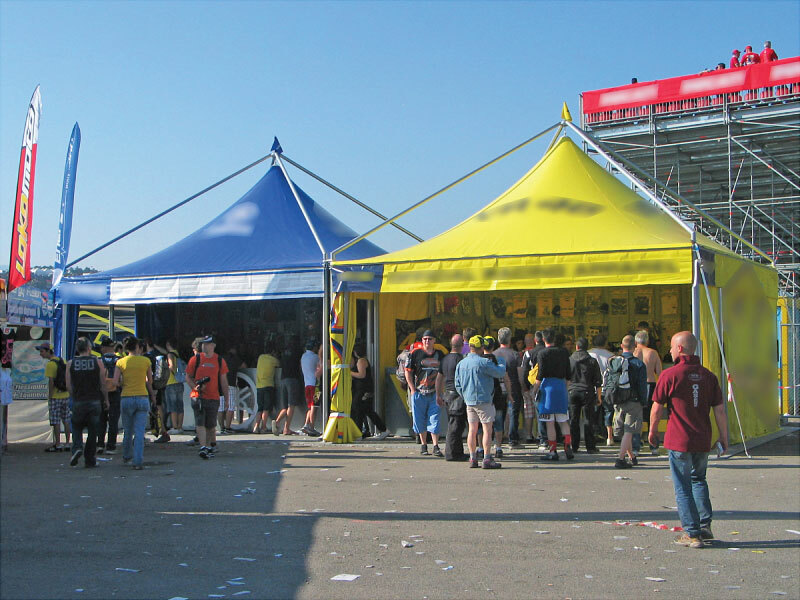 Colourful aluminium marquee tents with PVC fabric have been set up to offer dynamic hospitality services to MotoGP followers. MotoGP World Championship is the worldwide most famous championship of motorcycle road racing. Grand Prix races take place in the most prestigious racetracks of the globe. For this reason Giulio Barbieri is honoured for having consolidated the presence of its outdoor marquees in this top class sport context. 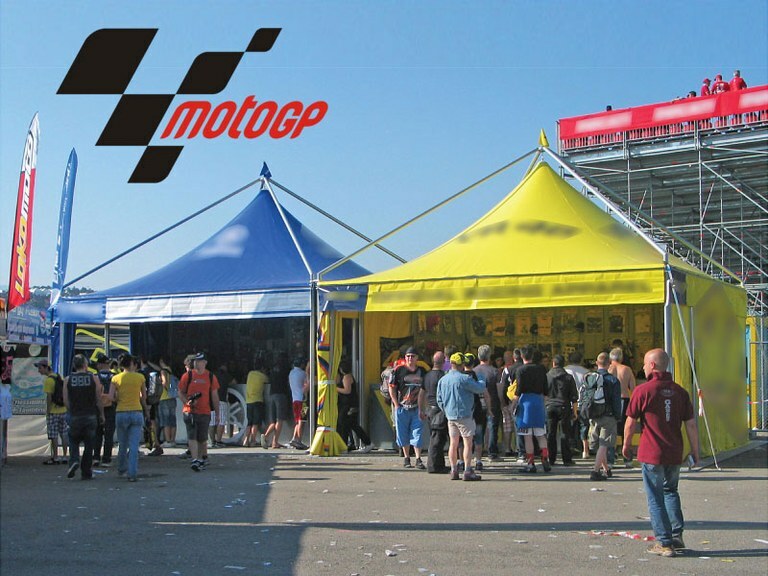 In 2010 Gruppo Pritelli (www.gruppopritelli.it) chose Giulio Barbieri aluminium marquees for the marketing and retailing of the official merchandise of the most appreciate Italian champion. Sprint and liveliness that characterize him have been brilliantly translated into the race tents graphic customization with the team logos. Pritelli Group and Giulio Barbieri are bywords for the best “made in Italy” quality products, made with passion and accuracy.